I love meals with the babies. What I thought was going to be a stressful, messy obligation that cut into play and cuddle time has turned into one of my favorite parts of our day. It’s still incredibly messy feeding two babies. We go through so many outfits and howling face-wiping sessions. There’s food flying, spoons flinging peas and pasta sauce everywhere. But I love seeing them try new foods and get excited for ones they like. They bounce and “mmm!” their way through every meal. We have dance parties while they eat their oatmeal and give me toothy smiles around their cheerios. Now that the girls are nine months old, they’re starting to eat like mini adults, and I’m cooking for mini adults. Mini adults who go through a lot of fruits, vegetables, and cereal! Store-bought purees are mostly a thing of the past, but we’re still figuring out how to do meals. They’re not huge fans of veggies plain, and I think I may need to punch up the flavor a bit. I don’t wouldn’t eat pureed peas either, not without mint and creme fraiche. Yesterday I made a batch of two pretty delicious and very healthy meals that should last us a week or so. I loved the recipes in this Sprouted Kitchen post and couldn’t wait to try them. They didn’t disappoint! The girls had the greens for dinner, mixed with banana (see above…) and they’ll have lentils and carrots for tomorrow’s dinner. Since they go to bed before I usually make dinner for Bryant and I, the girls don’t eat what we eat, like a lot of people suggest. They eat healthier than we do, so I don’t mind. 😉 But I do want to get more meat and various grains, so I was really excited to try the Sprouted Kitchen lentil carrot mashies. They actually ate them, which surprised me, since even with sweet potatoes stirred in they’re not huge carrot fans and have never had lentils. Also on my list for upcoming meals: risotto, chicken vegetable “soup,” pasta and marinara with spinach, shredded beef, pita and hummus (their very favorite food), and broccoli cheese orzo. 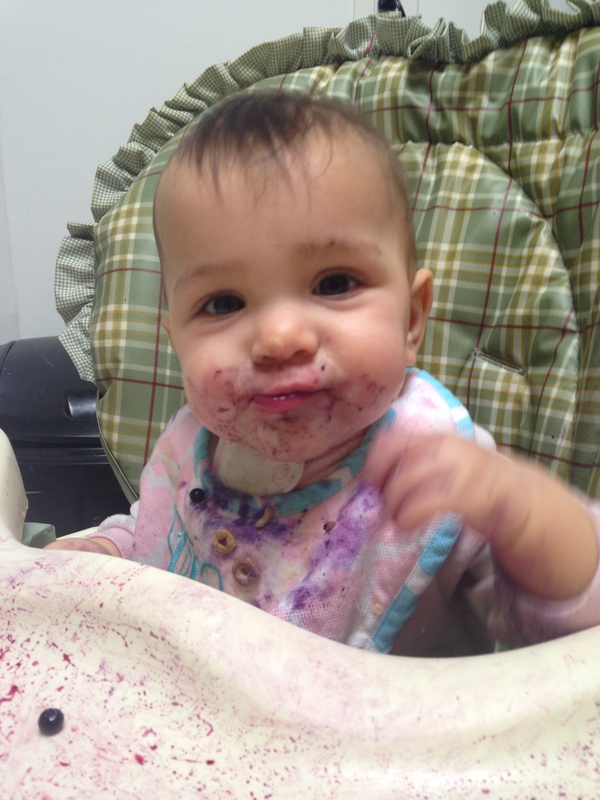 I’m hoping to become better at meal planning with babies in mind, so they can at least have our leftovers. 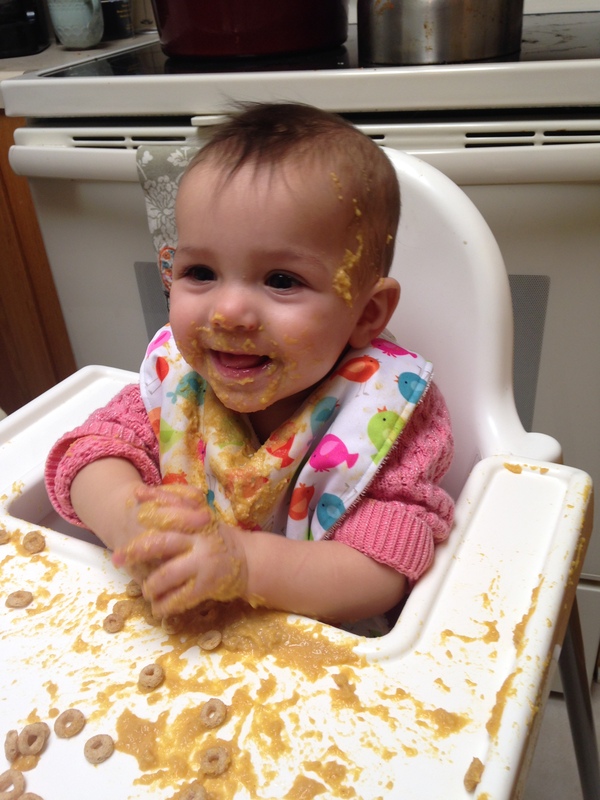 What are your favorite baby-friendly meals? Please share your favorites and I’ll let you know how the girls like them!